Six thousand lives could be saved on Britain’s roads over the next ten years if just a fraction of the money currently spent on road maintenance was used more effectively. Britain loses up to £30 billion (2.3% GDP) annually in the cost of road crashes, most of which falls on busy, targetable motorways and main roads according to Saving Lives, Saving Money: the costs and benefits of achieving safe roads, a report for the RAC Foundation by the Road Safety Foundation. The report shows how, within existing budgets, 1-star and 2-star roads can be eliminated in the next decade, with benefits worth £25-£35 billion. Achieving the savings will require that road authority leaders are offered guidance to focus on the full costs and benefits of saving the most lives for the money available. 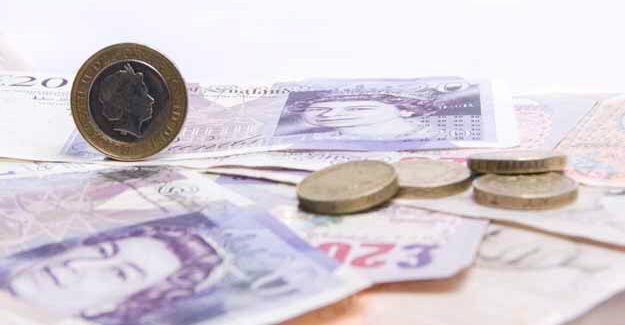 According to Saving Lives, Saving Money, the total cost of crashes is well estimated by the Department for Transport but the way costs fall on families, business, carers, NHS, emergency services and the insurance industry is poorly understood. The report reveals the losses on roads for which different authorities are responsible. It finds the cost of fatal and serious crashes on the Highways Agency’s network amounts to £1.2bn annually. The cost of serious crashes on English local authority ‘A’ roads is £2bn. It investigates how much it would cost to bring main roads with safety flaws such as missing safety fencing and unsafe junction layouts up to safety levels that should reasonably be expected – and the savings that would result. It proposes a 10-year safety programme to 2020 finding it would cost less than 10% of existing road budgets. • The insurance industry to study the initiatives in other countries where the cost of damage and injury claims has been driven down successfully through improved safety. Professor Stephen Glaister, director of the RAC Foundation, says: “Given that Britons are more likely to die on the roads than in any other daily activity, this report should make us first angry, and then determined to act to see more lives saved – at little or no extra cost. “We will never prevent all road accidents but we can do a considerable amount to reduce their effects simply by improving the road environment and making it as forgiving as possible. We understand road risks well enough to know how to cut this grim toll of death and injury, yet we fail to implement cheap and effective measures to combat them. “This year sees the launch of the UN’s Decade of Action for Road Safety. Saving Lives, Saving Money shows that we can significantly cut the cost of crashes between now and 2020, with substantial savings for the health services, long-term care, emergency services, businesses and families.” says Dr Hill. The full report is temporarily available at http://eurorap.org/library/pdfs/20110330_Saving_Lives_Saving_Money.pdf and will be on the Road Safety Foundation website on Monday 4 April. The Road Safety Foundation is a UK charity advocating road casualty reduction through simultaneous action on all three components of the safe road system: roads, vehicles and behaviour. Several of its published reports have provided the basis of new legislation or government policy. For more information visit www.roadsafetyfoundation.org. The Royal Automobile Club Foundation for Motoring Ltd is a charity which explores the economic, mobility, safety and environmental issues relating to roads and responsible road users. Independent and authoritative research, carried out for the public benefit, is central to the Foundation’s activities.